Three years ago I was in your position. My hubby popped the question on New Year’s Eve! In the days to follow, my wedding plans started to take shape. I would have done a first look, or at least “fought” a bit harder for one. My hubby really wanted to see me for the first time as I walked down the aisle. However, as a planner, I knew that the moment down the aisle would not be the same for me as it was for him. 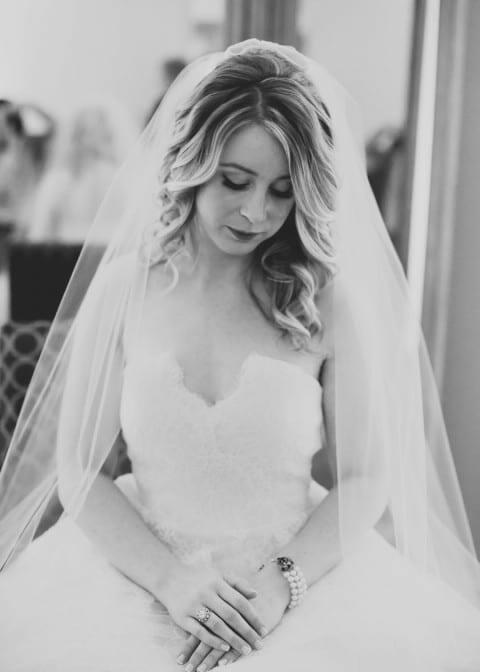 Wedding-after-wedding, I see my amazing brides just before they take that big step. A number of things are going through their minds- Is this real? Will I trip? I can’t cry. Dad, it’s okay! Everyone is staring at me! It’s sad to admit- The man at the end of the aisle is not always top of mind, even when my last whisper to them is “You look stunning! Go get your man!” For me, it was almost like being in a dream-like state. Then suddenly I was up front and the ceremony began. I would have loved to have had a special moment together, just the two of us, to really take it all in. As an added perk, we could have joined our family and friends at cocktail hour! I would have been nicer to my mum. I love my mum! She and I are very close, but on the day of the wedding she was more panicked and forgetful than me. After my wedding, I started to pick up on this more and more for clients. You’re the bride. It is absolutely your big day, but it is also hers too. She is hosting her family and friends as well, and just as concerned as you are that it will all go perfectly. She might even have stage fright before walking down the aisle. Some advice? Assign your sister or a willing bridesmaid to be your mum’s go-to-gal for the day! I would have followed the photo list that I had pre-planned with our photographer. I was so caught up in the moment and ready to party, that nearing the end of bridal portraits, I said “That’s it. We’re good!” I saw that our fabulous photo team was crossing names off the list but with much urging from me, it ended. The fault is 100% my own that I don’t have a wedding-day photo with our grandparents and my flower girls. I would have been a labeling queen! My assistants became the best day-of team that a bride could have asked for. I armed them with a large set up document and photos to accompany it. What would have made their jobs a bit easier than combing through the list and photos, would have been labels on each item or boxes, something I now suggest to my couples. I would have told our DJ to tell people to take home centerpieces. As a planner, I ask couples in advance about flower distribution. We either make an announcement or go table to table at the end of the evening. I forgot about this little detail for my own day and so many beautiful pieces were left behind. I would have filmed our getaway, from our angle. My hubby and I boarded our vintage getaway car at the end of the evening (something I wholeheartedly recommend), and waved goodbye to all of our family and friends standing outside of our venue. The driver looped around three times! I remember saying how incredible our view was but never pulled out my phone to video it from our seat. Remember to enjoy your engagement, plan as many details as you can in advance, trust the amazing wedding team that you’ve assembled and when the day comes… treasure every moment!